The average cost of memory care in Gainesville is $4,228 per month. This is lower than the national median of $4,655. Cheaper nearby regions include High Springs with an average starting cost of $3,450. To help you with your search, browse the 5 reviews below for memory care facilities in Gainesville. On average, consumers rate memory care in Gainesville 4.6 out of 5 stars. Caring.com has helped 5 families in Gainesville find high-quality senior care. To speak with one of our Family Advisors about memory care options and costs in Gainesville, call (855) 863-8283. Although just 9 percent of the population in Gainesville, Florida, is aged 65 or older, the city is home to five memory care facilities, with another one nearby to serve seniors with Alzheimer's disease or other forms of dementia. 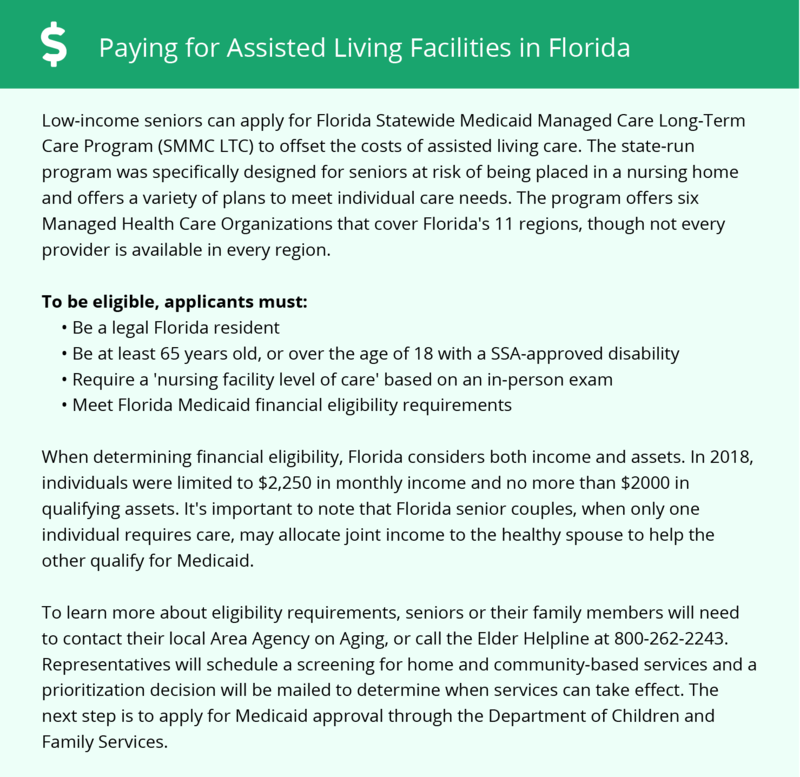 In Florida, these facilities are termed assisted living facilities, or ALFs, and are subject to regulation and licensing by the state's Department of Elder Affairs. Staff at facilities that provide care to patients with Alzheimer's disease and related disorders require special training. The University of South Florida's Training Academy on Aging oversees this training to ensure all memory care facilities throughout Florida are well-equipped to care for seniors with memory disorders. Thanks to its location in north-central Florida, Gainesville enjoys moderate year-round temperatures, which can be appealing for seniors hoping to flee the cold and snow. Gainesville enjoys an average of 205 sunny days a year, higher than the U.S. average. Summers are hot, and while temperatures cool in the winter, lows rarely fall below 40 degrees. At 95.6, Gainesville's cost of living is lower than the U.S. average of 100. Transportation, housing and grocery costs are even lower. Similarly, memory care facility expenses are lower than average in Gainesville, which can save seniors some money. Florida does not have a state income tax, which includes social security income. As a result, seniors have some extra money every month to put toward memory care facility living expenses. Gainesville is home to world-class medical facilities, including those specializing in brain health and dementia care such as the University of Florida Health Shands Hospital, in the event of medical emergencies or illness. In addition, UF's Department of Neurology in the College of Medicine operates the Memory and Cognitive Disorders Clinic for patients with Alzheimer's disease and other memory disorders. Memory Care costs in Gainesville start around $4,228 per month on average, while the nationwide average cost of memory care is $4,778 per month. To see a list of free memory care resources in Gainesville, please visit our Assisted Living in Florida page. Gainesville-area assisted living communities must adhere to the comprehensive set of state laws and regulations that all assisted living communities in Florida are required to follow. Visit our Memory Care in Florida page for more information about these laws.